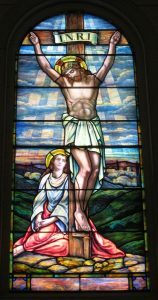 One of the most unique features of the Church of the Immaculate Conception is the beautiful, historic, stained glass windows made by Henry Keck Studios of Syracuse. Click here for a biography of the Keck Studios and Henry Keck. Follow this link, or the menu, for the Gallery of all the windows.